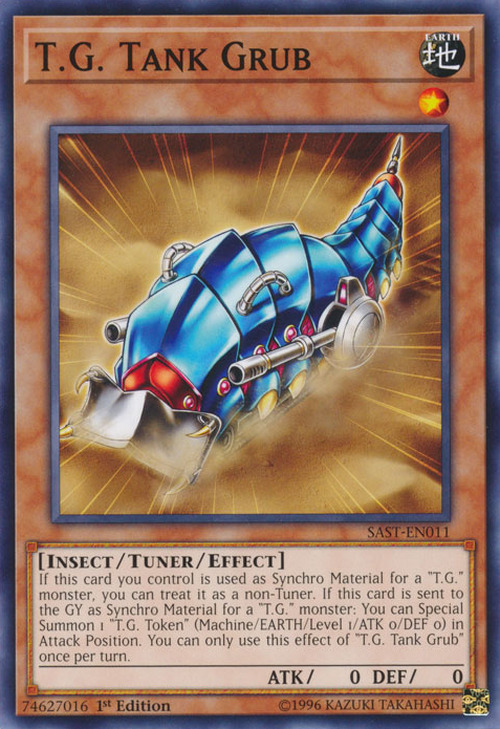 If this card you control is used as Synchro Material for a “T.G.” monster, you can treat it as a non-Tuner. If this card is sent to the GY as Synchro Material for a “T.G.” monster: You can Special Summon 1 “T.G. Token” (Machine/EARTH/Level 1/ATK 0/DEF 0) in Attack Position. You can only use this effect of “T.G. Tank Grub” once per turn.